Elegant curtains are an effective way to cover and protect the windows, to give a nice accent to one room and to make efficient space at home by dividing the rooms. Some people add wooden screens to divide the home place, some add glass doors and the smartest one and curtains as a room dividers. If you are smart, you don’t really want to add curtains on your windows just add it like room dividers and keep the elegance at a house. There are a lot of curtains design that you can combine with your interior decor. In the following, we will show you white, blue, orange and green coloured curtains. By the way, if you are interested in curtains design about your windows, the best ideas are attached to this link, just click on it and choose the best. Divide the sleeping room from the room where you spend most of your time. 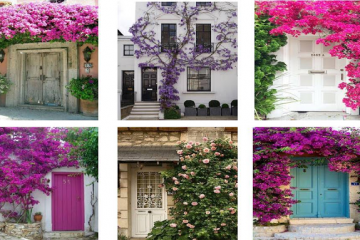 Forget about opening and closing the old doors in your house which makes you feel nervous and gives your house old-fashioned design. 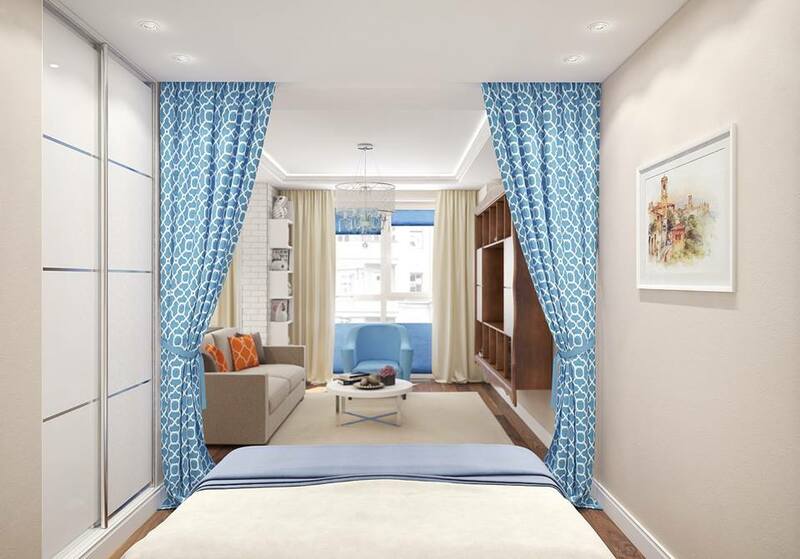 For keeping the nice design at home add blue elegant curtains like this in the photo. In this photo, we can see the same house design, the same blue curtains but this time from another perspective. If you like this design, separate the bedroom from a living room in a way like this and enjoy in living area. Giving an orange curtain at home is not a bad idea at all. look at this amazing style of separating one room, making two rooms and both rooms have organized decorative elements. don’t think twice, if you don’t like blue, white or green curtains, this is what you really need at home! Save space, have large rooms and amazing home decor with an idea like this! Here we offer you again idea about how to divide the living room from the bedroom. 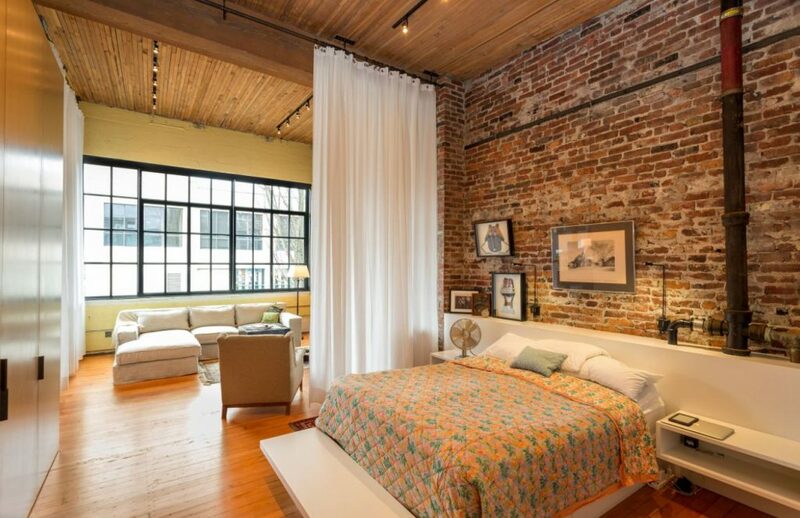 the design is the same but the only difference is that this room wall is made of exposed bricks which goes great with white curtains. 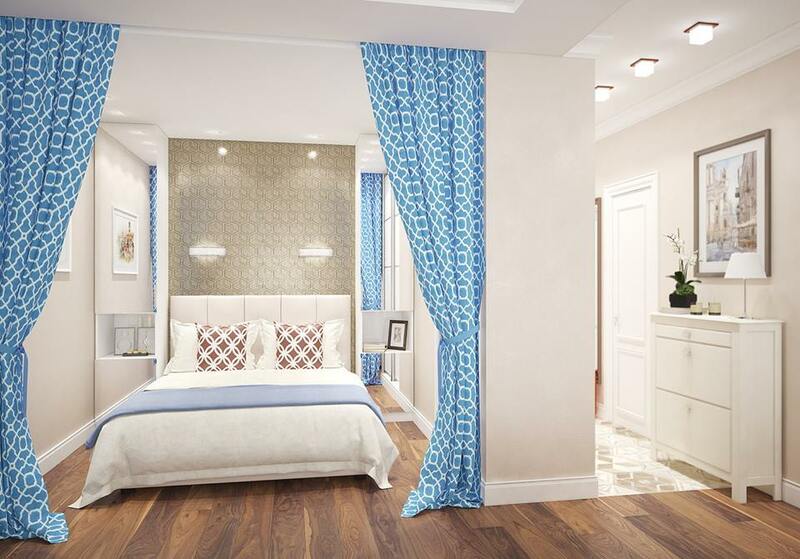 Blue or white curtains, the choice is yours and we are here just to give you the ideas! Sometimes, living in a small house makes you feeling fed up of opening the door of small rooms. 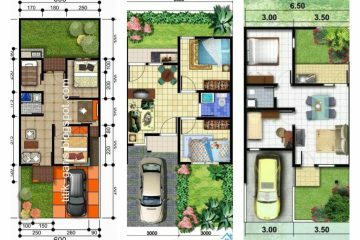 So, the best idea to save space is to create one open living area consisting of a living room, kitchen and dining room. About the division is better to use curtains that can also save you space and to give additional beauty to the design, but of course, you must choose some lovely design. This is the last photo of elegant curtains used as a room dividers, be kind and share it with friends! Thanks a lot!